Wow, it's a Saturday. The most awaited day for any office goer and employee. Saturdays fill your lives with lovely memories, fun, thrill and friends. Think Saturday and think outings, movies, friends, date with your love, girlfriend. 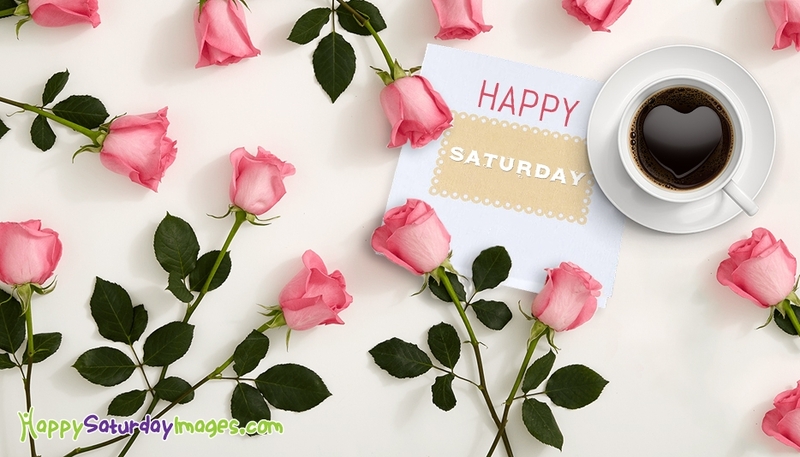 Make this Saturday more wonderful by sending this beautiful happy saturday greetings to your love and earn a date today. The picture portrays a cup of morning drink with roses to send to your love.